Annie Willow is gratefully living the reality of her childhood dreams with joy-n-ease. Waking to the sound of seagulls as the sun rises over the Gulf of Mexico and pelicans soar with grace over calm gentle waters. 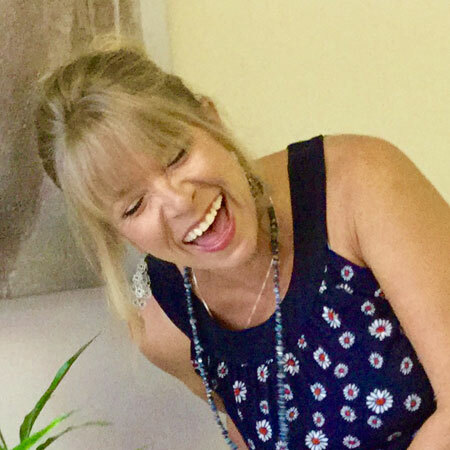 Annie enjoys her days setting the inner beauty free in her clients while being a shining ray of light to the world proving that anything is possible if you follow your inspiration and take the leap of faith with love and gratitude. 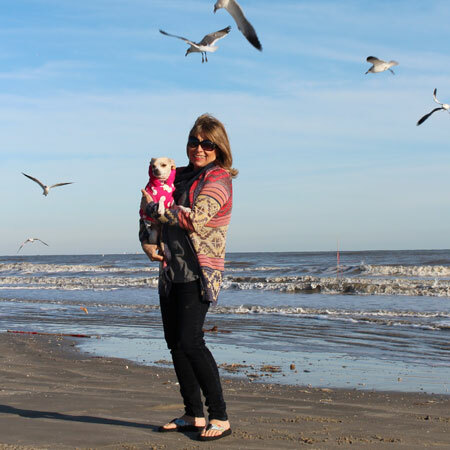 After over 25 years of doing the “Dal-Gal I-45 Shuffle,” Annie’s toes are firmly buried in the sand, been an Islander by Choice for 12 beautiful years and has proudly called Galveston home forever. Annie earned a bachelor’s degree in business and had a successful corporate career in Dallas for many years. In her early thirties, her inner artist broke free and she entered cosmetology school. Her passion for color combined with her compassion for others has allowed her the ability to provide her clients with the hair and skin of their dreams while setting their spirit free. After the hustle-bustle of owning two salons in Dallas, Annie made the bold move to the quiet island she has loved forever. Experiencing firsthand some of the undesirable results of using salon products with harsh chemicals, Annie was driven to find natural ways to enhance her clients hair and skin. She enjoyed a three year sabbatical studying holistic alternatives to set the inner beauty free naturally. Today, she finds the greatest joy in life’s simple pleasures… Walks on the beach with her pup Serenity Now, cultivating Monarch butterflies, organic gardening, finding a smooth piece of sea glass, helping raise money for local charities, feeding the needy and relaxing in her backyard oasis writing happy thoughts as the gentle salty breezes dance through her hair as the sun sets over the Gulf of Mexico like rainbow sherbet melting into the sand. Mother Nature creates the inspiration that fuels Annie’s passions in life. Annie Willow is happy and grateful to own the award winning Galveston salon and spa of her dreams and humbly honoured to be voted the 2015 Islander of the Year. Happy Pretty You! Reiki Salon & Spa is a private, relaxing oasis where beauty meets love, peace and light naturally. Happy Pretty You offers full service hair, skin, and holistic treatments in an eco-friendly environment that is all about you. All products are botanically based and free of ammonia, sulphates, parabens, toluene, formaldehyde and gluten. 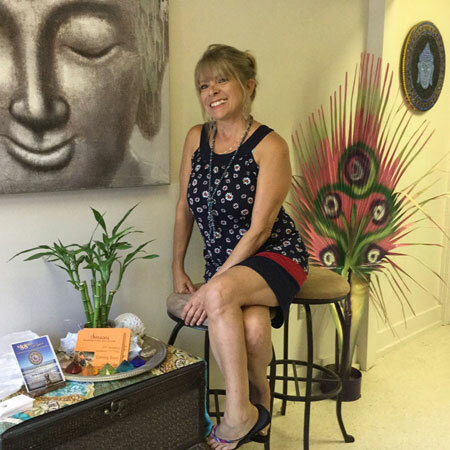 Annie’s passion for setting the inner beauty free while spreading happy thoughts of love, peace and light is the focus of her life here on the island. Turn off the world and experience the ultimate in personal attention, customer service and enjoy the moment as you become a Happy Pretty You!